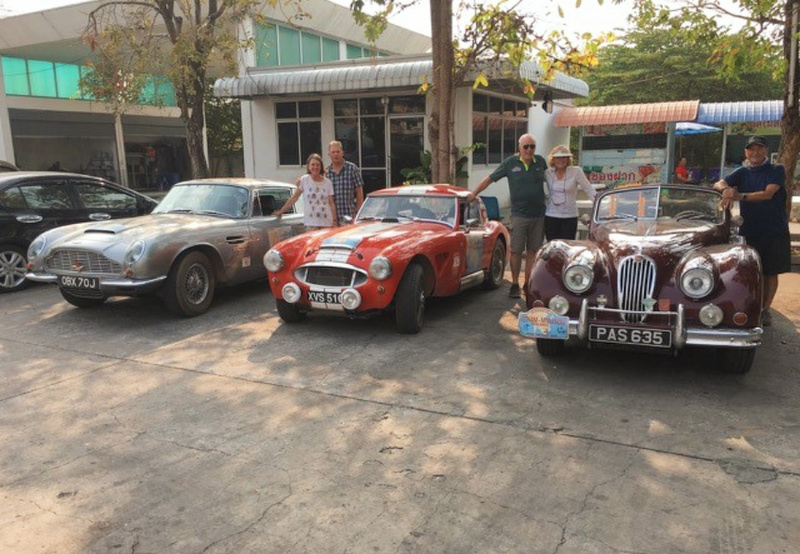 The excitement for today actually started the previous evening when Neil D was informed that there was a problem with his car and Thai customs. 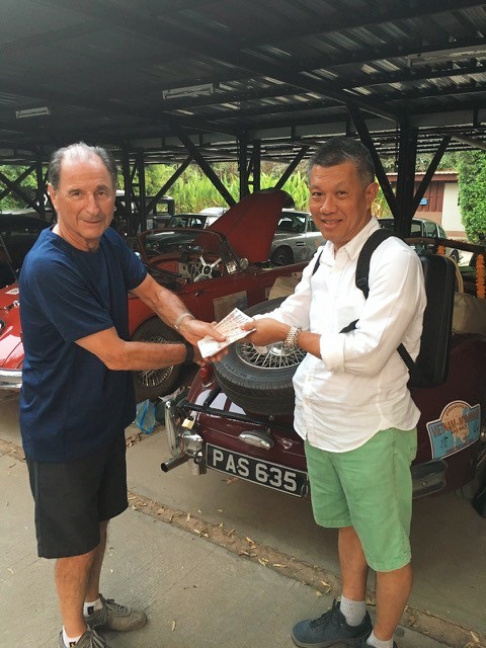 So Neil handed over his Bhat10,000 fine. The second excitement was than Jean had to take a driving test in Thailand before he was allowed in. 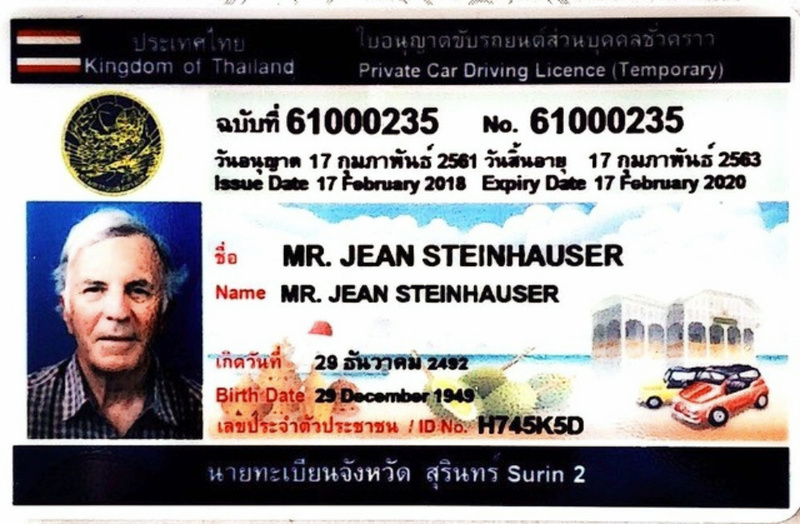 For reasons too ridiculous to explain, the Thai authority would not accept Jean’s Luxembourg driving license. 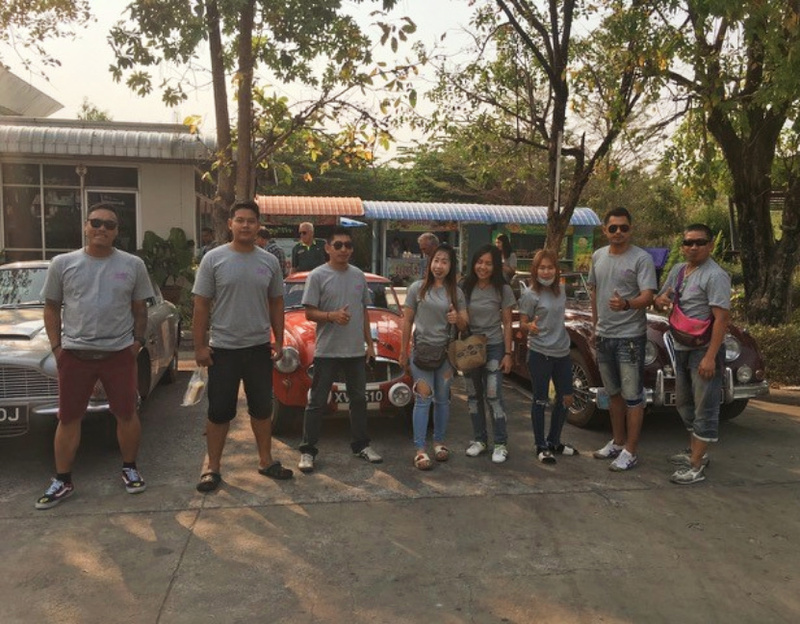 So he had to take a driving test to get a Thai license but not before he had passed a medical to prove he was fit to drive. They even agreed to open the driving test office on a Saturday specially for Jean so that was one concession. 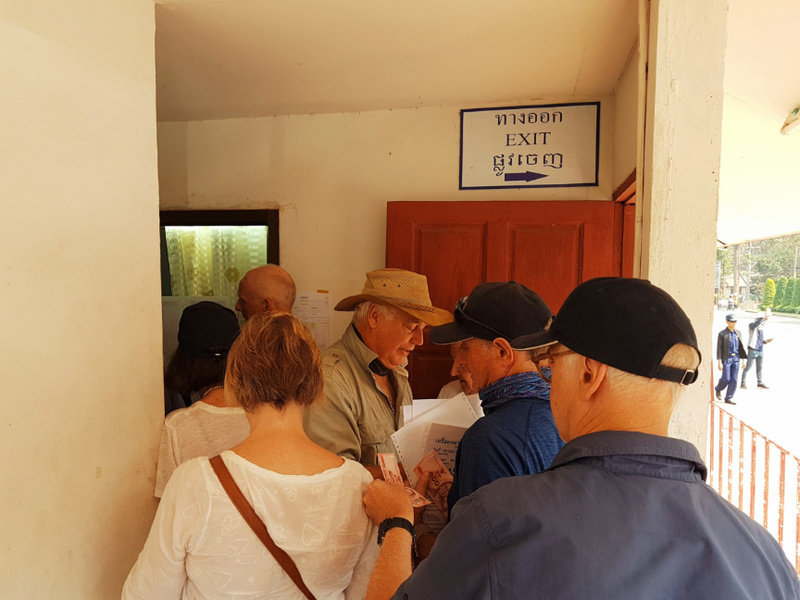 For the rest of the group, the transit into Thailand was the usual pantomime of paperwork, new forms being produced and stamps required, as well as payments that have never been required before. 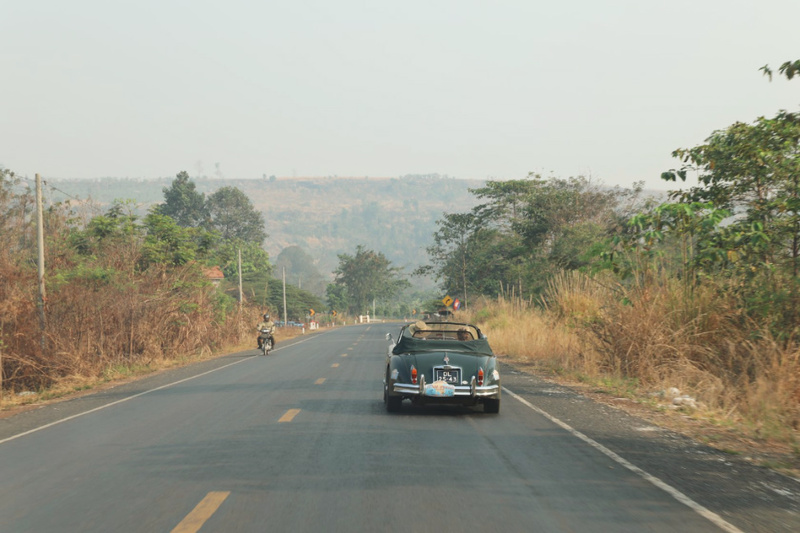 We got on the road and cleared at least 4 police checkpoints before enjoying the dual-carriageways that would take us to our destination. 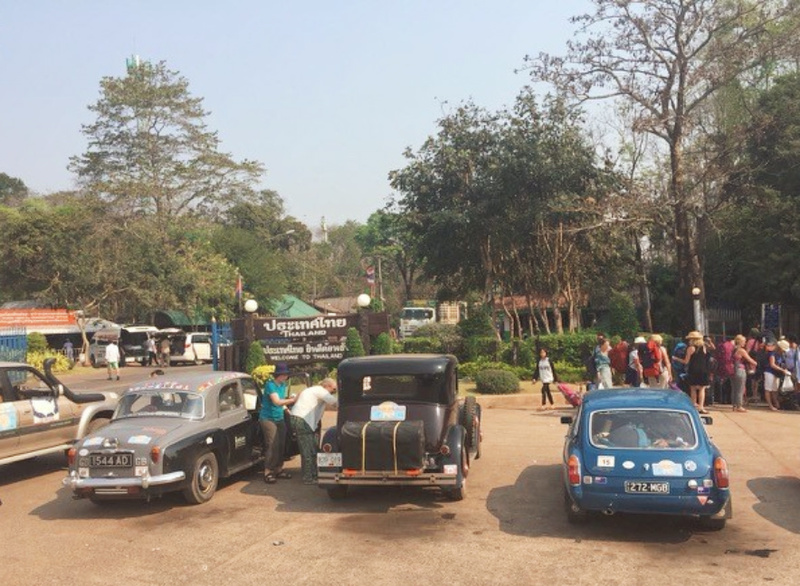 Thai roads are wide and multi-laned, so progress was rapid, but it was a long drive of 520 kms and very hot. 40 degrees! 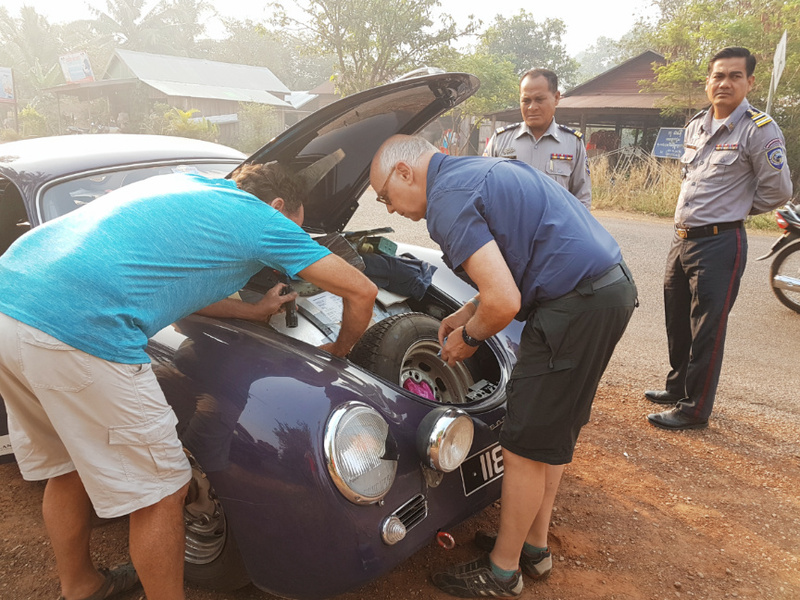 We knew today would be an endurance but this part of Thailand is not so interesting and we needed to get North as fast as possible. 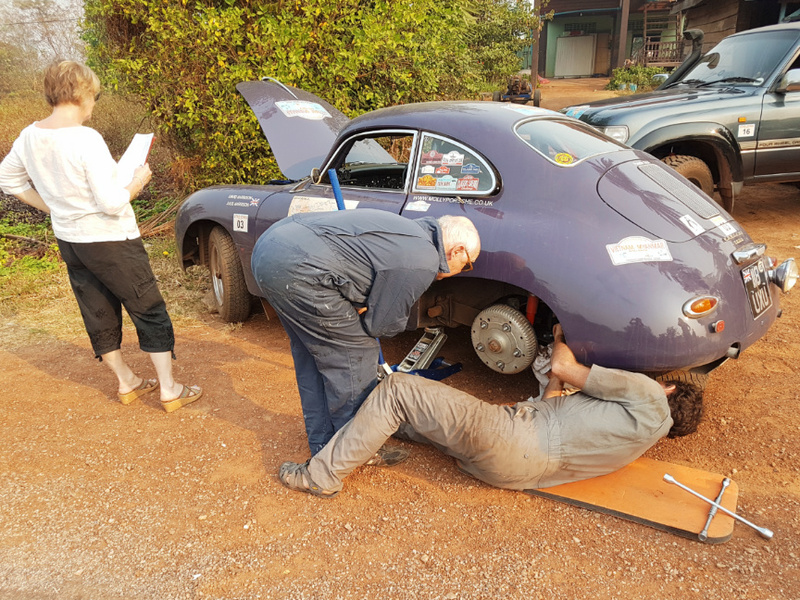 Though sadly for Molly Porsche things didn’t go quite to plan and she needed the a bit of TLC by the side of the road in order to be encouraged to carry on. We did see a lot of sugar cane and the further north we went the more developed the agriculture. 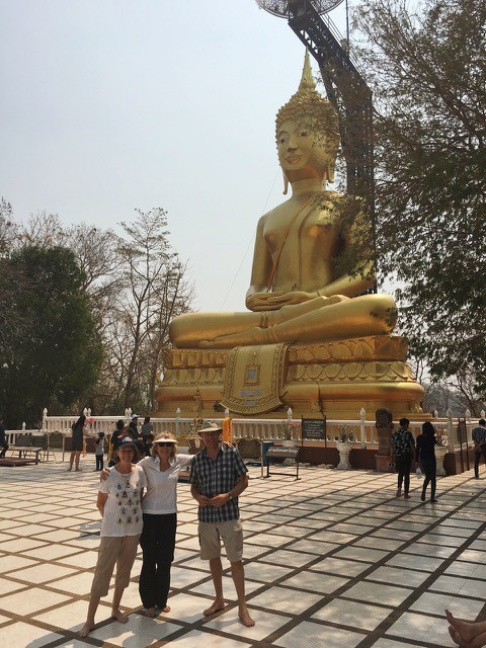 The one attraction en-route was a brief stop to Khao Kradong Park where a giant gold Buddha adorns an extinct volcanic cinder cone. 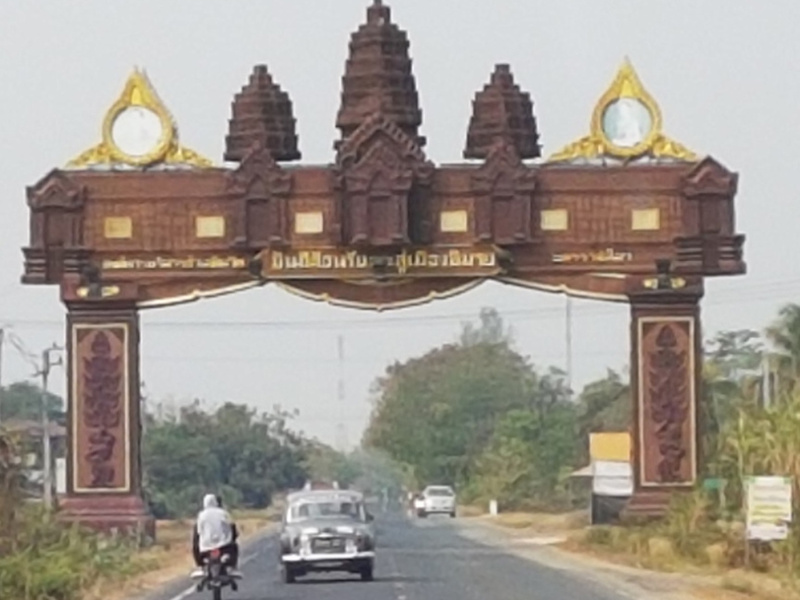 We passed Surin on the way here, a silk producing town famous for its Elephant Round Up Festival in November. At the beginning of the 20th century there were 100,000 working elephants in Thailand. 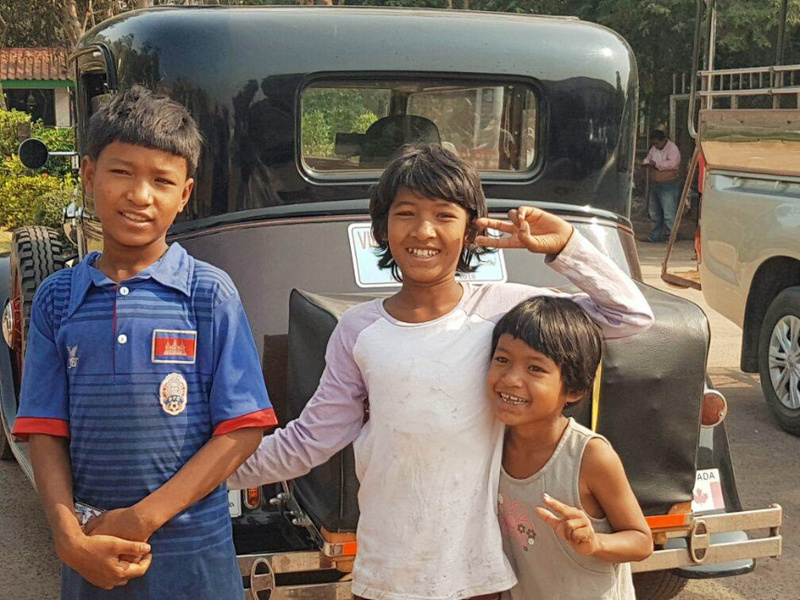 The Suay tribe, along this forested Thai – Cambodia border were much in demand for the skills at looking at elephants and catching the wild ones. 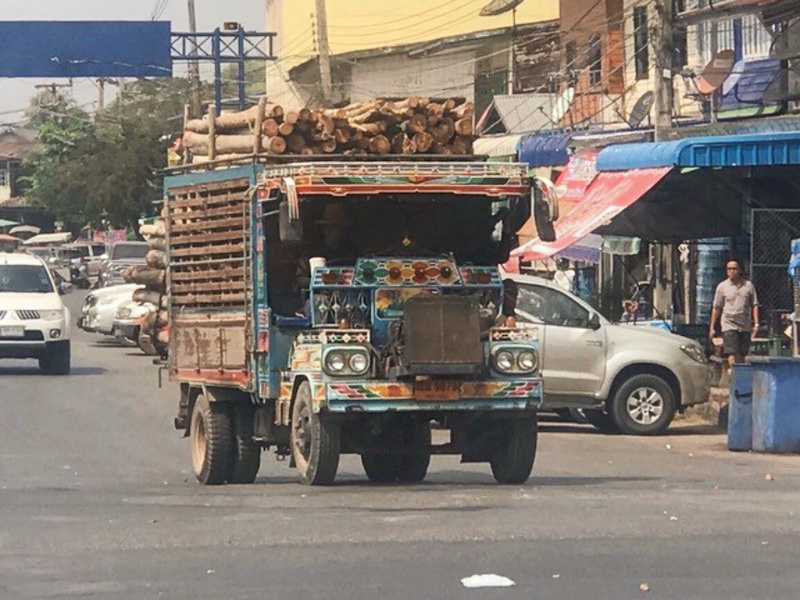 With the advent of modern transport there are now only 4000 working elephants in Thailand. 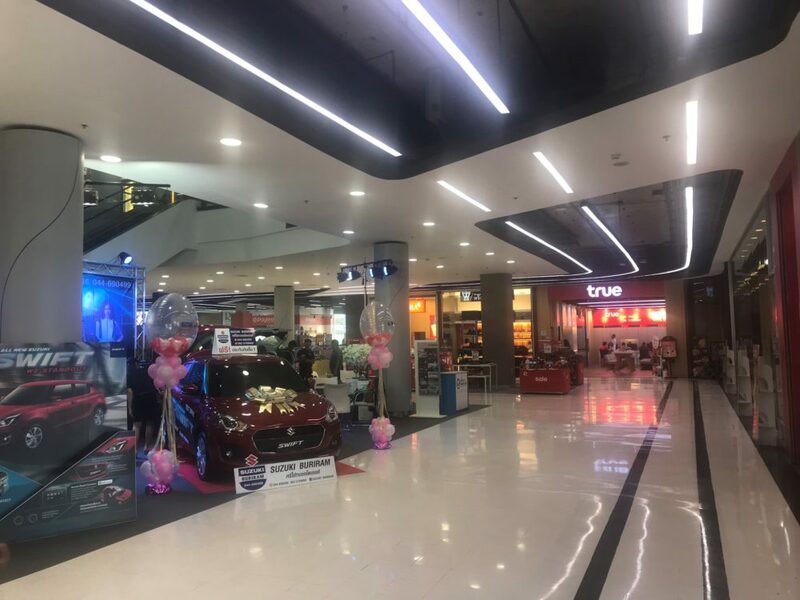 Lunch was taken at Robinson’s shopping mall, which could have been in Surrey it was so modern, and it was relief to get back on the road and away from the noise! 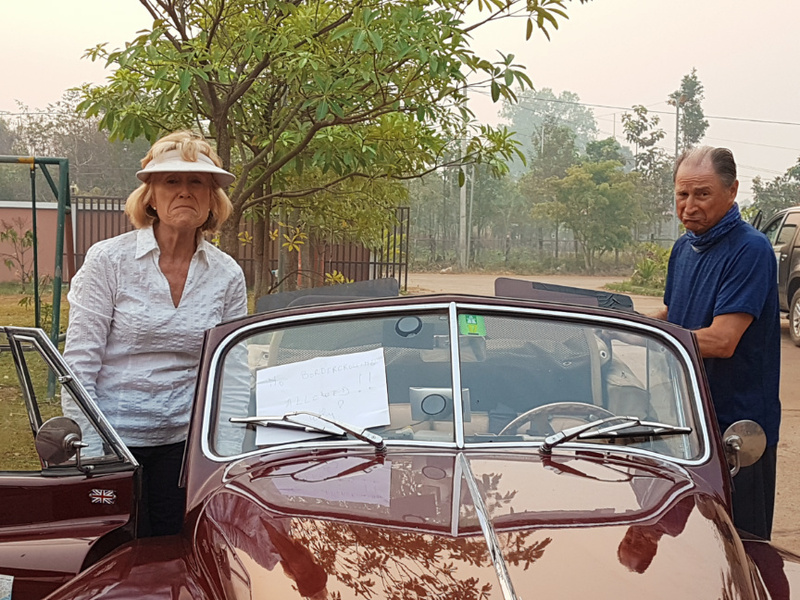 As the kilometres flew by there was one bit of nostalgia to be enjoyed by three participants of the inaugural rally united for a photo on the same road we took back in 2005. It proved to be another tempting photo opportunity for the locals as well! 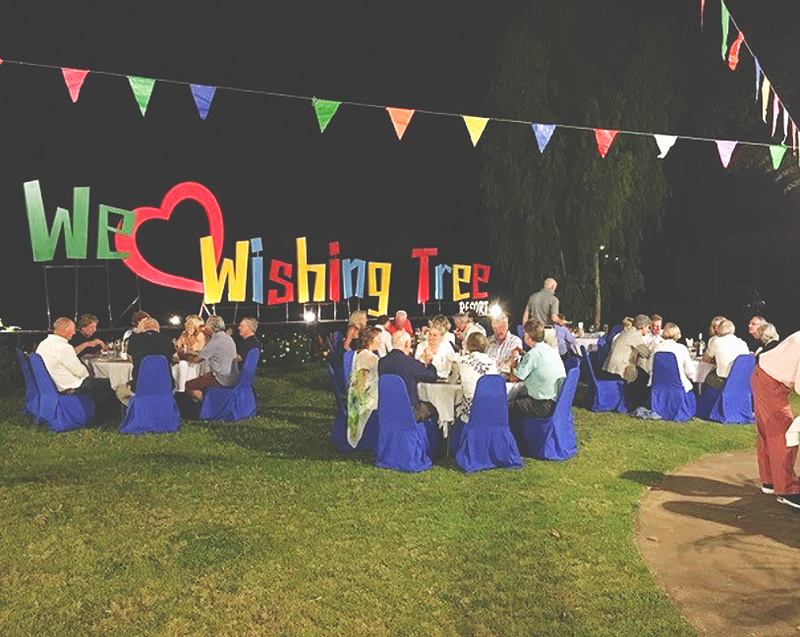 Our destination for the night was the Wishing Tree Resort where dinner was enjoyed al fresco. Thank you so much everyone for your very thoughtful birthday card which arrived safely & in plenty of time from Vietnam, a fact that could not be replicated from the likes of Mallorca. 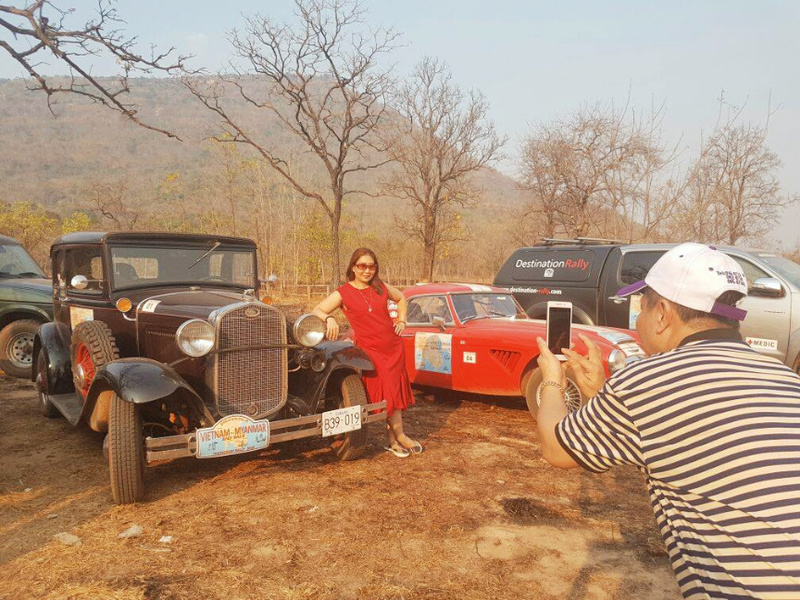 The rally reports continue to portray a fascinating and enviable journey. Neil must have found his fine very reasonable compared with Switzerland!